Resolution Studio offers complete professional software development services, creation of customized applications from planning and designing it to the step of finalizing the software from Romania to any part of the world. 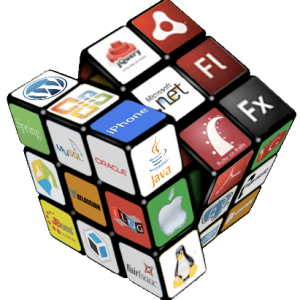 We develop desktop applications, complex software like client-server apps, online applications, software maintenance and technical support. Resolution Studio has earned a rich experience in software development and has significant references in C++, Delphi, Microsoft Visual C++, C++, .NET, Visual Basic, Cold Fusion, Macromedia Flash AS2 and AS3 using database systems like: SQL, MySQL, Oracle, Fox, MS Access and other data structures like XML, YAML. A software solution needs to have a perfectly designed concept for being successful. That’s why we offer you a professional technical support team, who will help you choosing the best solution by analyzing the technical, functional, operational and financial requirements. At Resolution Studio we follow our well-refined process of software development which assures an in-time delivery of the project, a high-quality software which accommodates to the latest trends, but in the same time can be used on relatively older platforms as well if needed. This methodology is applied to all of our software development projects.